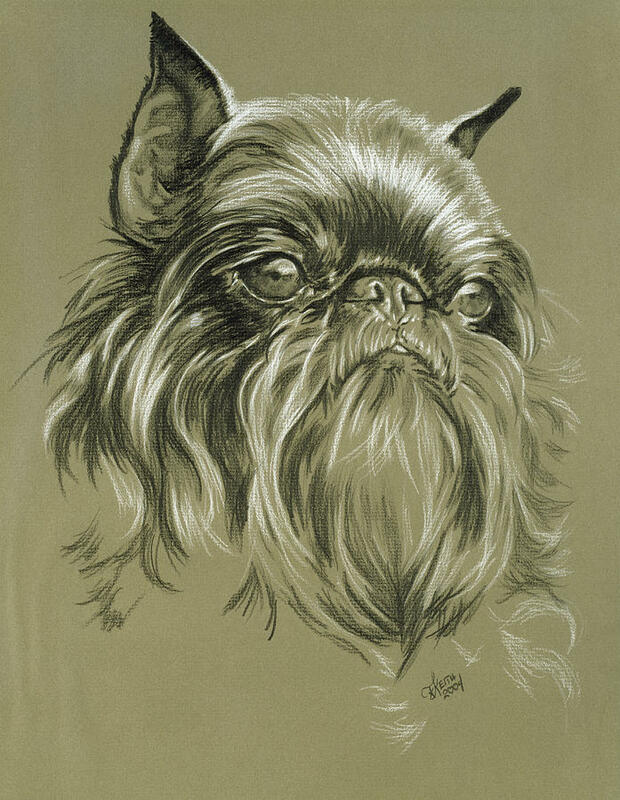 Belgian Griffon is a drawing by Barbara Keith which was uploaded on January 14th, 2010. Originally bred to hunt and kill rats, this former Belgian street dog is a distinctive and unusual dog breed. Although he’s small, he’s hardly a pampered pooch. Affectionate and lively, his intelligence, sense of humor, and air of self-importance keep him one step ahead of his people. They adore him anyway (http://dogtime.com). Great drawing.Masterly control of the media.Love the eyes! Lovely use of value and great expression!